Golden Tiger Live Casino Review - with 10 different Live Casino games. Bonus: Lots of regular promotions. Visit Golden Tiger for more details. 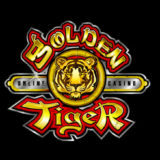 Golden Tiger is a well known and respected online casino that’s only just added a live casino. It’s a cracker of course as they’ve chosen all live games from Evolution Gaming. I’ll be interested to see how they treat Live Casino players. 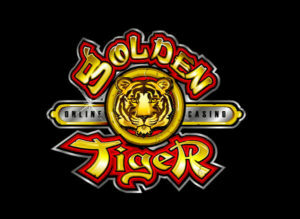 The Golden Tiger Casino is one of a group of casinos run by a company called Apollo Entertainment. 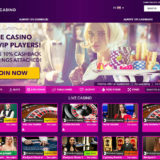 You also might also see or hear the casino referred to as being part of the Casino Rewards group of casinos. I’ve been aware of the casino for a number of years. I dabbled playing slots there in the past and also because I’ve got to know some of the people behind the operation. The casino only carries games from Microgaming. It’s also one of the few casinos that still provides both Instant access and a Download client to play the games. 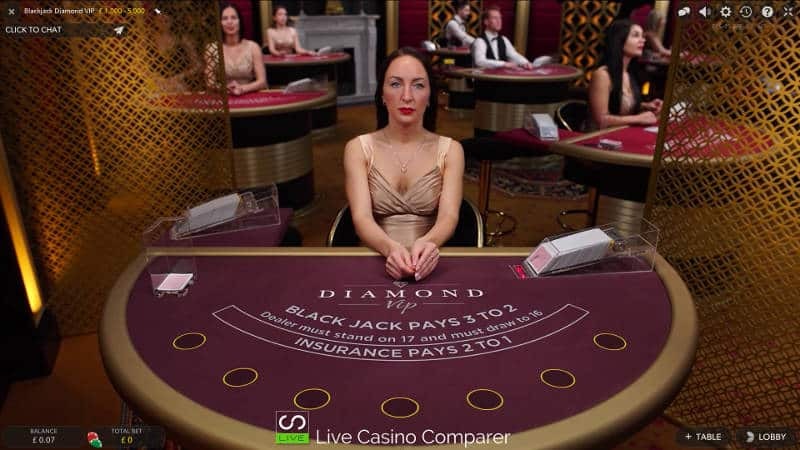 The Live Casino can be played through the browser, download client and on mobile. This review is only for the Golden Tiger Live Casino. There are plenty of other sites out there that provide slots reviews. The Golden Tiger Live Casino is provided by Evolution Gaming and there is a full range of live casino games to choose from. 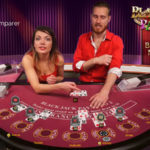 There is a large range of Blackjack tables to play on, with stakes starting as low as 0.50 a hand up to 10k. Side Bets of 21+3 and Perfect Pairs are available on all the tables and there is a Bet Behind facility for when the tables are full. The table seat 7 players and the game is played to Vegas Rules. You can split pairs and double on any hand value. Blackjack pays 3:2 and insurance paying 2:1 is offered when the dealer is showing an Ace. There is a basic set of European Roulette tables, enough so you’ve got plenty of Choice. 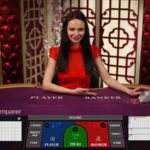 Standard Roulette and Immersive Roulette are the most popular. 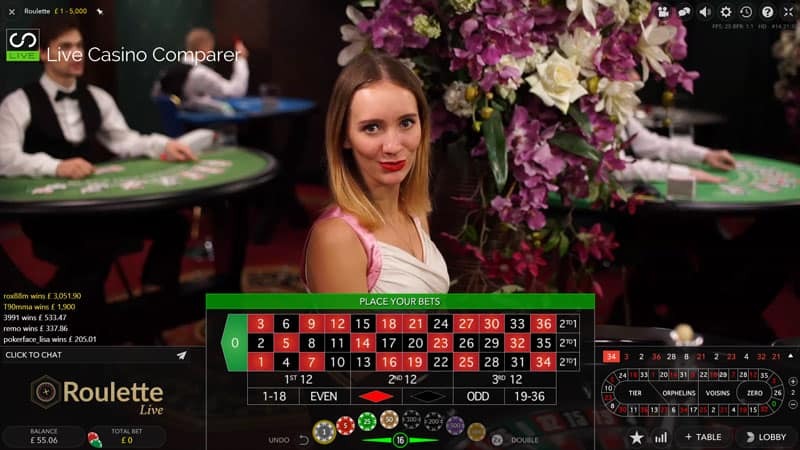 French Roulette with La Partage is available and there is a range of Auto Roulette wheels for players that prefer that option. Double Ball Roulette is the final option. Speed Roulette didn’t make the cut, so if you like a really quick game head over to Leo Vegas. All of the available Baccarat options can be found in the lobby. 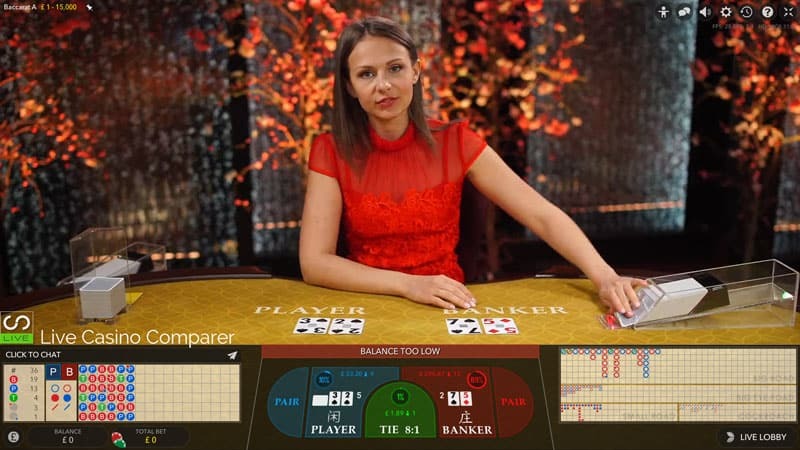 There’s straightforward Baccarat, Baccarat with player and dealer controlled squeezes. There’s also Speed Baccarat for those that like a quick game with none of the traditional etiquette applied. 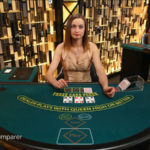 Side bets and Baccarat Roadmaps are available on all the tables. The game is played with 8 Decks. 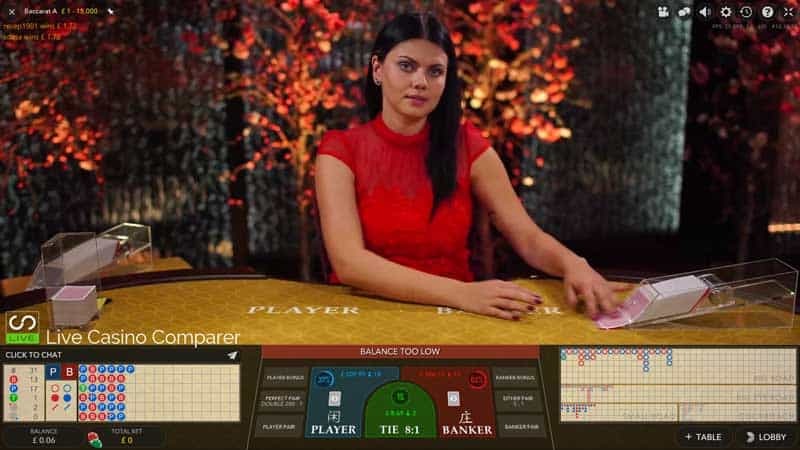 This is a popular game in UK land based casinos, and is a simple game where the players hand needs to be higher than the dealers hand to win. Only one player hand is dealt that many players can bet on. 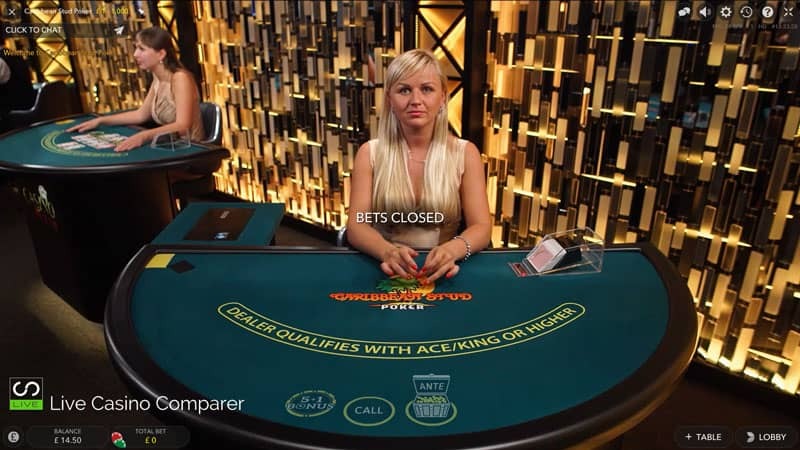 There’s an optional Pairs Plus and 6 Card bonus side bet that can be played alongside the main hand. 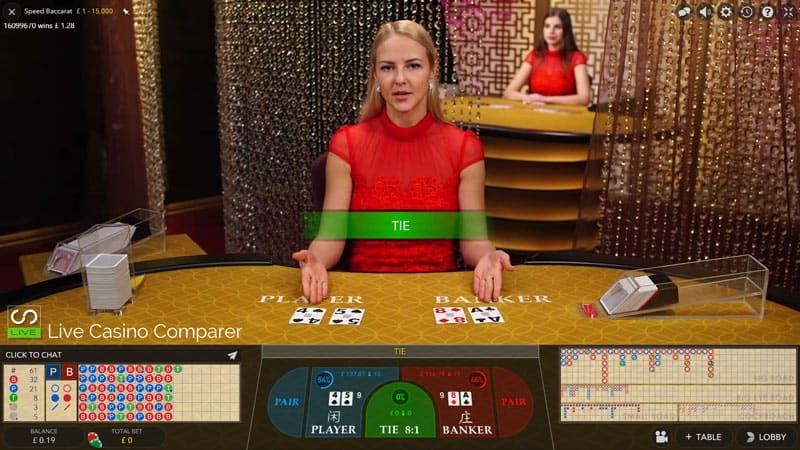 This is another poker derived game based on Texas Hold’em. The player and dealer hands are dealt 2 cards each and then 5 Community cards are dealt. 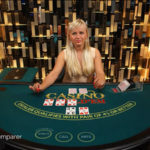 The aim with Casino Holdem is to make the bet 5 card poker hand from the seven cards. The game comes with an optional Bonus side bet. 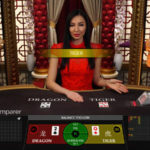 5 cards are dealt to each of the Player and dealer positions. 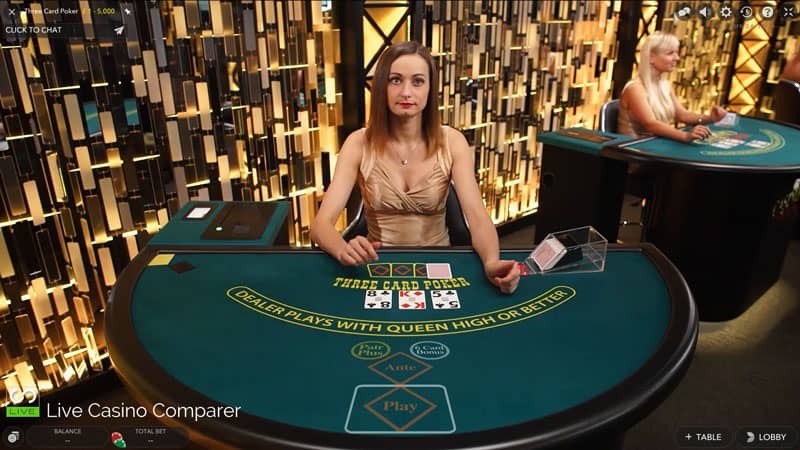 The player cards are dealt up while only one dealer card is shown before betting on the hand is allowed. The best poker hand wins. 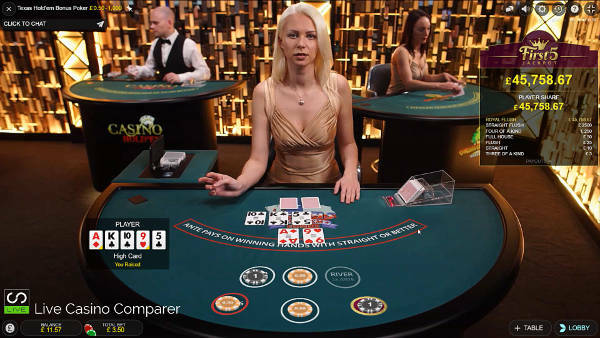 There’s an optional 5+1 Bonus side bet that uses the dealers up card and the players cards to make a poker hand. Payouts values are high when a hand is hit. 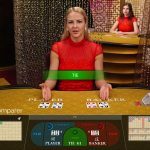 This version of Texas Hold’em comes with 4 opportunities to bet on your hand once it’s been dealt. Betting early in the process (before the flop) can allow you to raise your ante bet by up to 4 times if you have a strong hand. Leaving the betting until the River has been dealt will only allow you to raise your bet 1x. It’s a cracking game and one I thoroughly recommend. This version of Texas Hold’em is not something I’ve come across in a land based casino. I must say I’m hooked already. The way you can bet as the cards are dealt and the funky Bonus side bet really got my juices going. 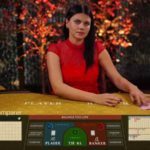 If you get the chance and like poker games I think you’ll love this. I’d like to say this is a variation of Baccarat, but it’s not. The nearest game to Dragon Tiger is Hi-Lo from Playtech or indeed their version of Dragon Tiger. One card is dealt to the Dragon & Tiger. You bet on which one will be higher. High card wins. Ties side bets make it more interesting. The best thing about this game is the table and studio environment. It’s really cool. This is a bit a a departure from the normal table games. 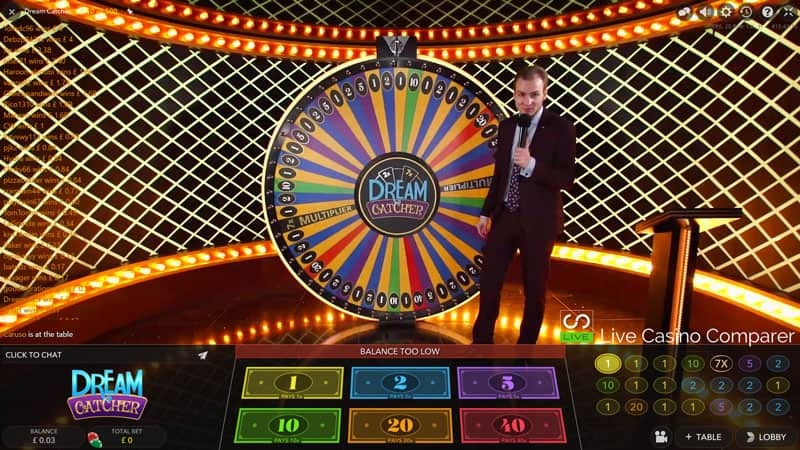 Dream Catcher is essentially a Wheel of Fortune. 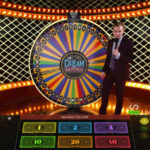 You bet on a number, the wheel is spun and if it lands on your number you win. There is an added Bet multiplier that can be applied to wins to give the game and added edge. If you’re a new player to Golden Tiger you’ll need to sign up to an account, then you’ll be taken through to the lobby. 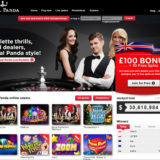 If you have an existing account your journey to the live casino is tricky. Stick with it though as it’s worth it when you get there. You’ll have to select you want to play rather than download the client software. From there you can login and you’ll be taken to the general lobby. The Live Casino is represented by an Icon. Selecting that will take you to the Evolution Lobby. 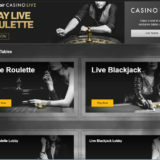 Or you can scroll to expose the Live Casino Menu option , select that and then select the game you want. 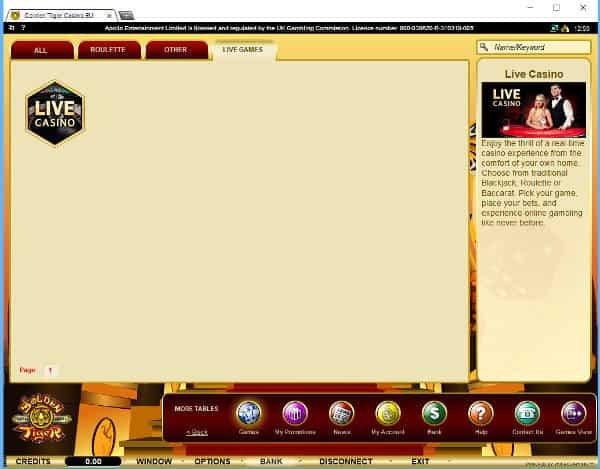 First off you need to visit the Golden Tiger Casino to download the client software. Or you can download it directly from here. Once you have installed it and created a player account you’ll see the following screen. Select the Games View button and the select the Live Games tab. 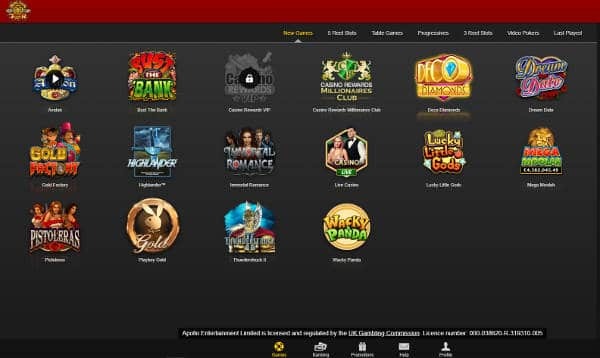 Click on the Live Casino games Icon and a new window will open with the Games Lobby Displayed. You can select full screen mode and then find the game and table that interests you. 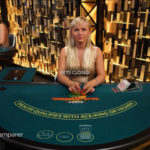 The people behind Golden Tiger Casino put a lot of effort into creating promotions and bonuses that players really like. They’ve not really got to grips with Live Casino players yet, but I’m sure that’s only a matter of time for specific promotions are created. To make sure you don’t miss out, I’d recommend visiting the promotions page to see the latest offers. Reward Points – You’ll accumulate loyalty points as you play, which can be redeemed for playing credits once you’ve got over 1000 points. There are 6 VIP levels that entitle you to different levels of benefits. The more points you get the higher up the scale you get. 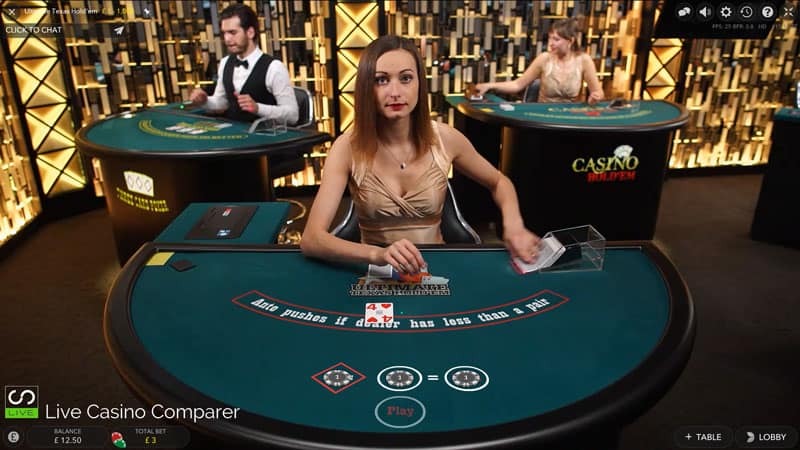 I think getting something back while you play is great, but at the moment the benefits for Live Casino players is marginal. If you like playing slots as well then you’ll do OK using them. Golden Tiger has three licenses. One from the UK Gambling Commission – 000‑038620‑R‑319310‑005, one from the Malta Gaming Authority – MGA/CL1/501/2008 and one from the Kahnawake Gaming Commission for all none regulated countries. All of these ensure that the casino is run and managed correctly. Credit Cards: Visa, MasterCard & Diners. Debit Cards: Visa Electron, Maestro & Entropay. e-Wallets: PayPal, Neteller, Skrill & Qiwi. Withdrawal times vary depending on the method used. It’s not usual for me to spend a lot of time with customer support. But with Golden Tiger it’s been a different story. I had problems with getting my download client to work correctly. As a result I was unable to access the games and even deposit. I used the Chat Facility and I have to say I was very impressed with the support I got. I don’t mind saying that I was frustrated. Something so simple shouldn’t have become so difficult. The solution was to reinstall and clear my cache and cookies. Boom I was straight in. What impressed me was the patience of the support agents, and there were many that I spoke to. Their knowledge of the issue I was having and possible solutions was good. I got disconnected several times during the resolution phase and was easily reconnected with the same agent, so I got good continuity throughout. I hope to never speak to them again. But if I do I won’t be worried that I’ll not get my issue sorted quickly. 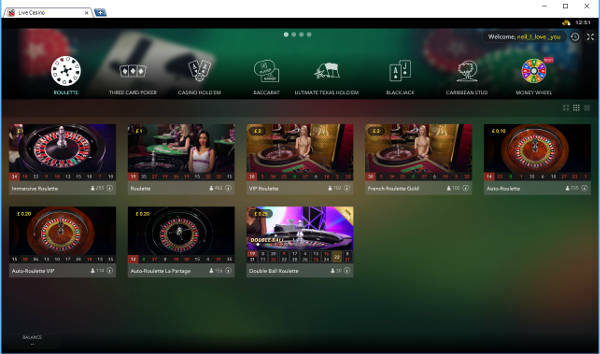 As of April 2018 the Golden Tiger Live Casino has bedded in and can now be accessed through the browser, download and on mobile. The bonus structure hasn’t yet been adapted to suit live casino players, so at the moment I’d steer away from taking a bonus. 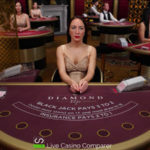 There’s a good selection of live games from the leading live casino supplier, Evolution Gaming, so players new to live casino will have a good playing experience. 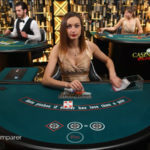 I’m aware that the Casino Rewards group has received flak on some review sites about issues with them spamming players. (6 month update – Nope, nothing, not one email). I’ve not experienced it myself, but will monitor it over the next few months to see if it becomes a problem. I’ll update the review then with my personal findings. 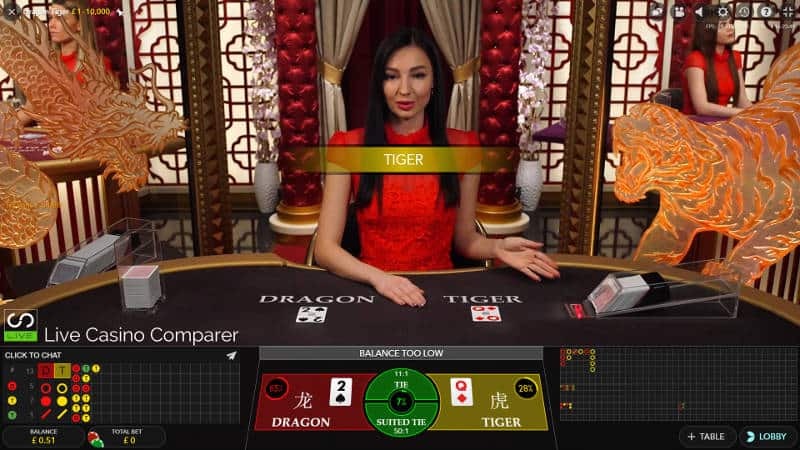 If you fancy playing at a good solid online casino then Golden Tiger Live Casino is one of those.